Eric and I bought a new couch from a local store called Area, about a month ago but it only showed up last week. It is the most adult-like piece of furniture we own, also one of the few brand-new, never been used pieces of furniture. We opted for a neutral gray/brown color that would mask animal fur. 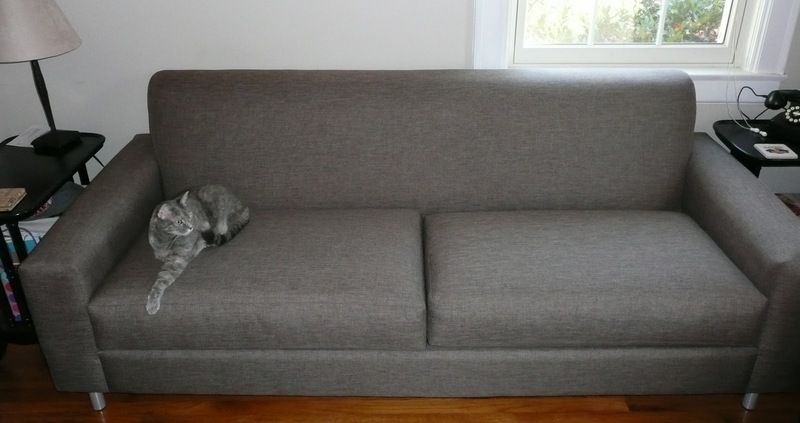 We chose a tightly woven fabric that would hopefully deter cat claws and we chose a nice slim, modern design that would fit our small living room. We lost a little bit of napping space but lost no sitting space. See what I mean about the color? The one downside to losing out last couch was also losing the pillows. Yesterday I headed out to JoAnn Fabrics for their sales and found three great pillows for 50% off. 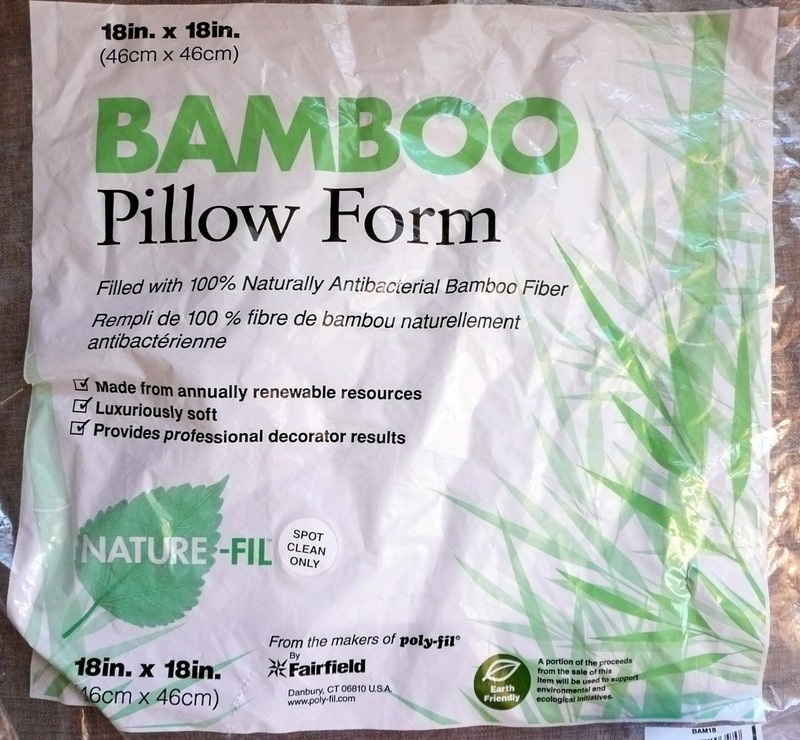 I love that they are bamboo filled – it makes them much firmer and I think they will stand up to many more naps. 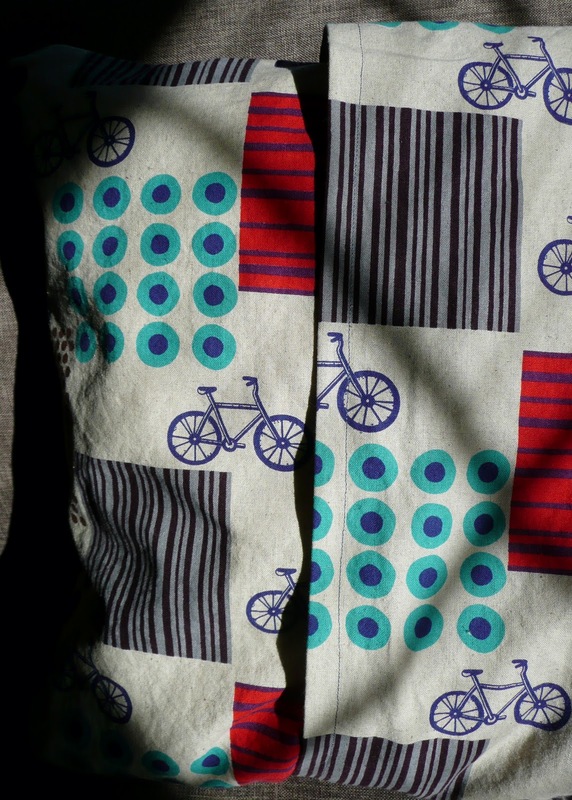 I have been sitting on some wonderful prints since my trip to Minneapolis last month. Somehow, my innate color matching skills worked out wonderfully and the prints I chose work perfectly with the new couch’s color. 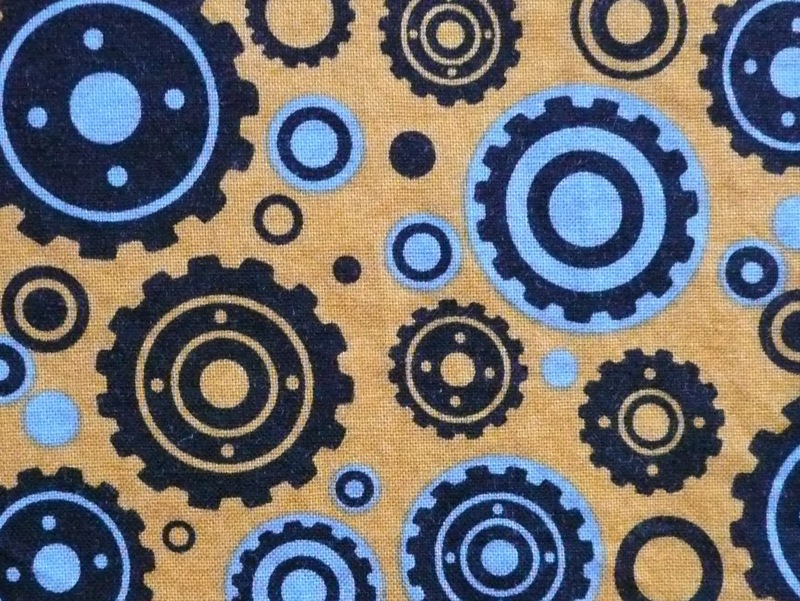 A friend of mine took me to Crafty Planet where I picked up some these unique prints. 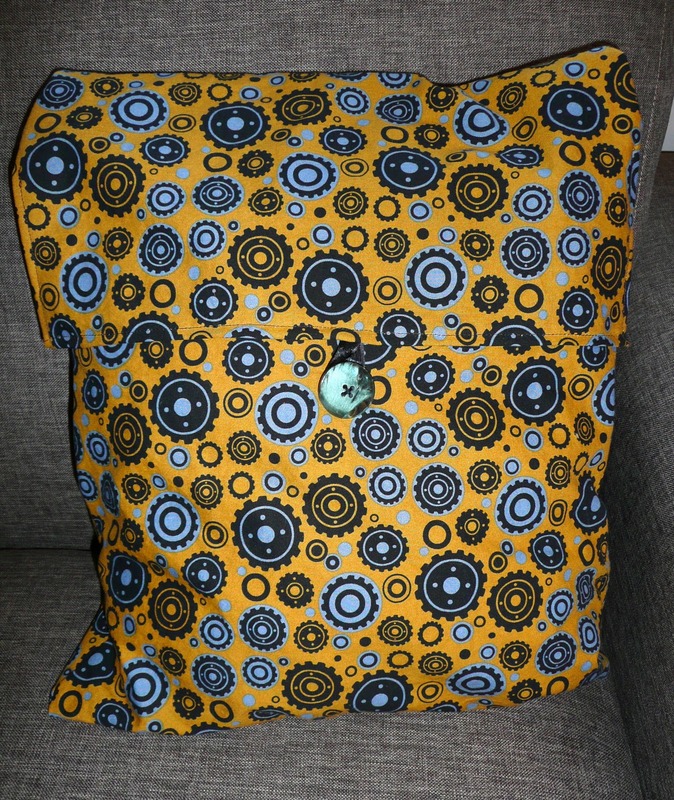 The first pillow I made has a flap and button closure using a piece of black ribbon. The buttons I also found at JoAnn’s – I picked them because they are made from recycled plastic. 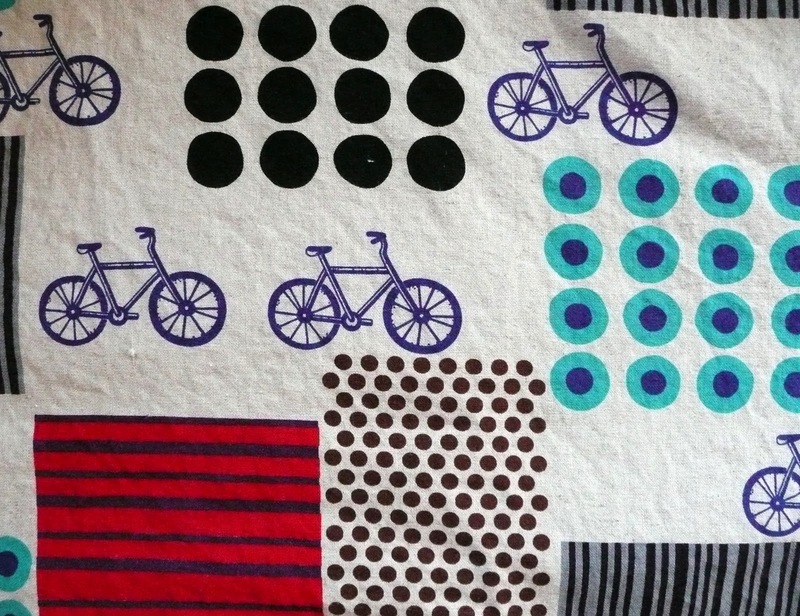 Second finished pillow, bike print, front. 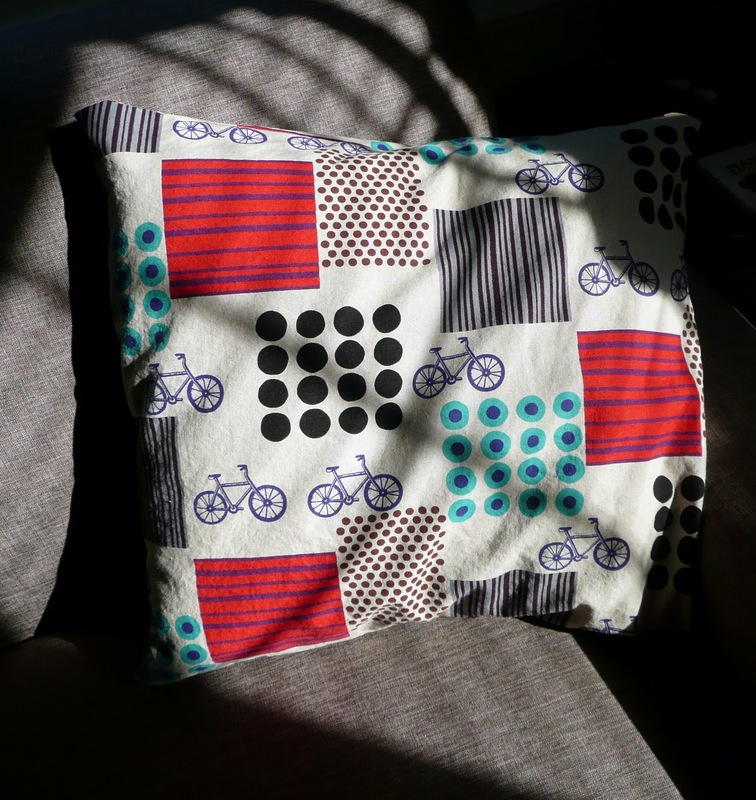 Bike pillow, back, with a simple flap closure. 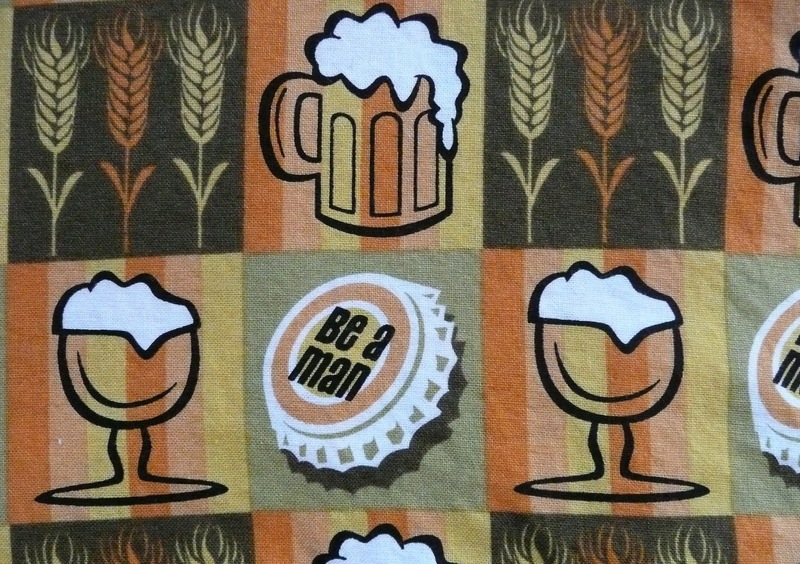 Now I just need to decide what to make with the Be a Man print fabric. Perhaps an apron? Tsali looks great on your new couch! I really like the neutral color – so easy to change the look with just a new pillow cover. Where did you find the buttons? I got the buttons at Joann's too. I love the neutral too..can't believe we matched it so well to Tsali.